Santa and his elves deliver presents to David's Place in Dallas. Santa and his elves collect toys for the Gift Drive. Seniors pass out hot chocolate at morning carpool. Santa visits students at lunch. Seniors decorate the campus for Christmas on the Sunday following Thanksgiving. The junior class hosts McDonald's Week in support of Austin Street Center. St. Mark's and Hockaday students hand out meals at Austin Street Center. Students perform at Austin Street Center. 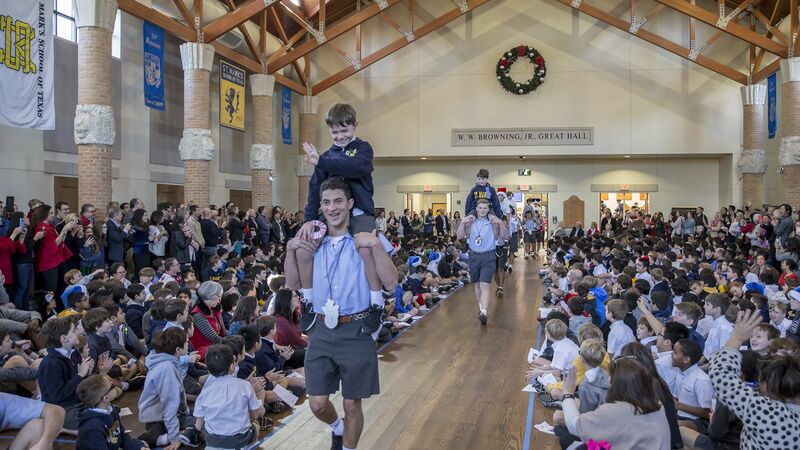 The Lower School celebrates Banner Chapel.